with his MIND - Bombay Times. 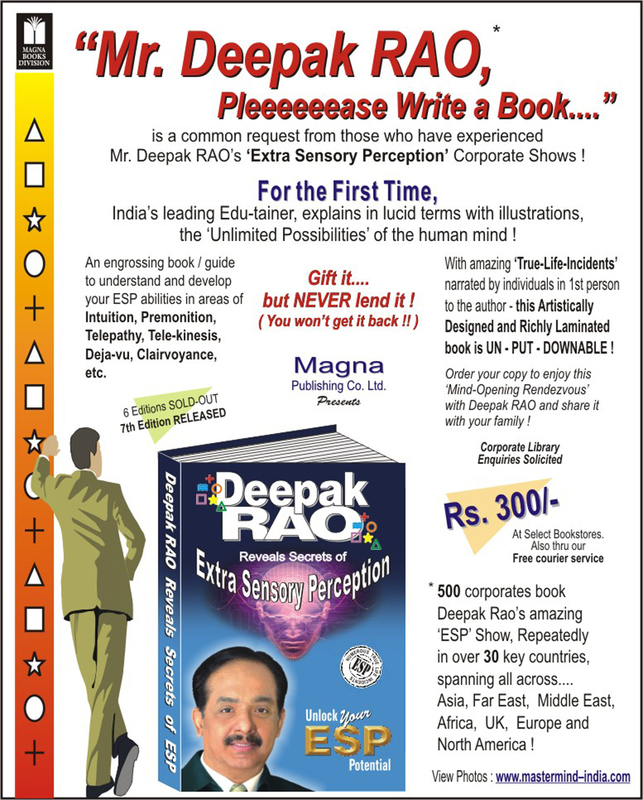 Deepak RAO is India’s Answer to Uri Geller. Deepak RAO, ad man, has a unique and somewhat mystical hobby. He bends keys, levitates objects – all with his mind ! That’s not all. There’s more to his ability, but as he says, there’s a logical explanation. No wonder, some are more successful than others ! 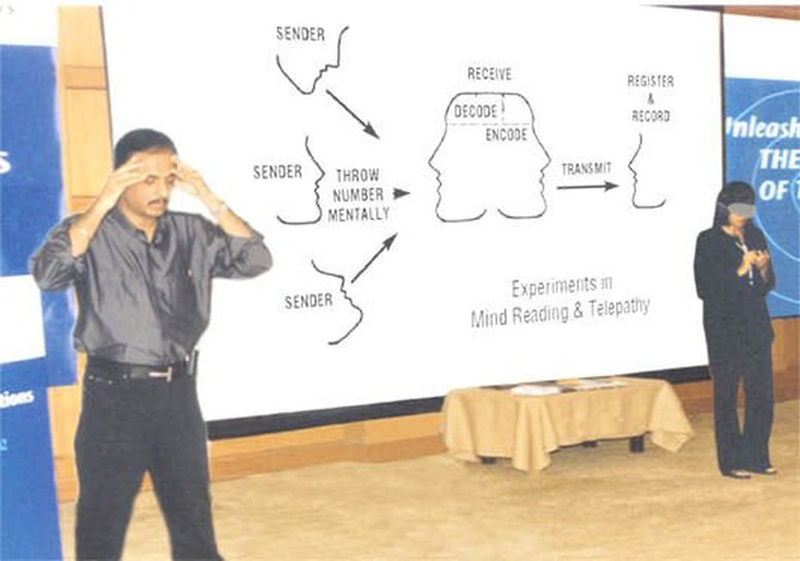 Deepak says, he presents the Mysteries of the Mind…. with a corporate show, titled “Mission Impossible” where he displays highly entertaining experiments in....'ESP', Intuition, Telepathy.... with the participation of the audience. What’s next, Mr. RAO ?